Mrs. A.H. Harty lets Martha Berry know that the students who attend her school have decided to name their Library Society after her. 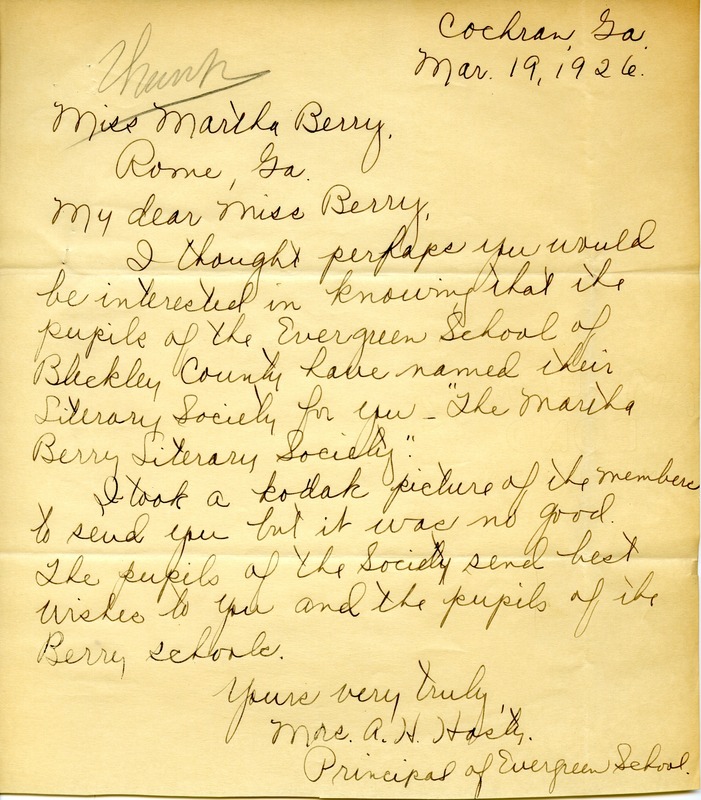 Mrs. A. H. Harty, “Letter to Martha Berry from Mrs Harty.” Martha Berry Digital Archive. Eds. Schlitz, Stephanie A., Angela McCavera, et al. Mount Berry: Berry College, 2011. accessed April 20, 2019, https://mbda.berry.edu/items/show/203.